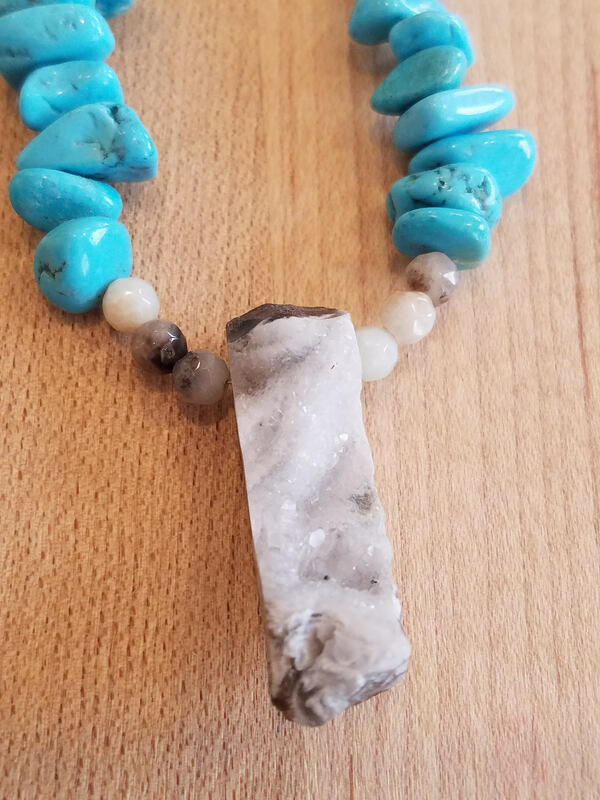 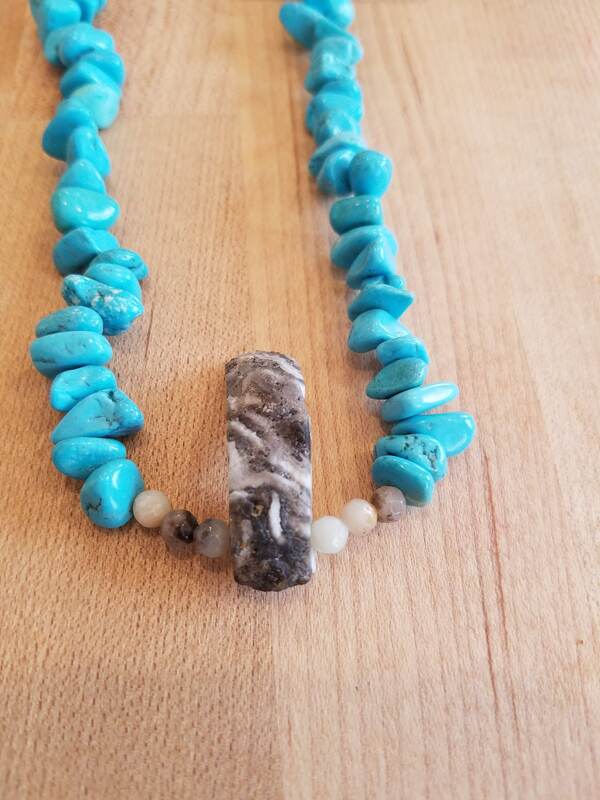 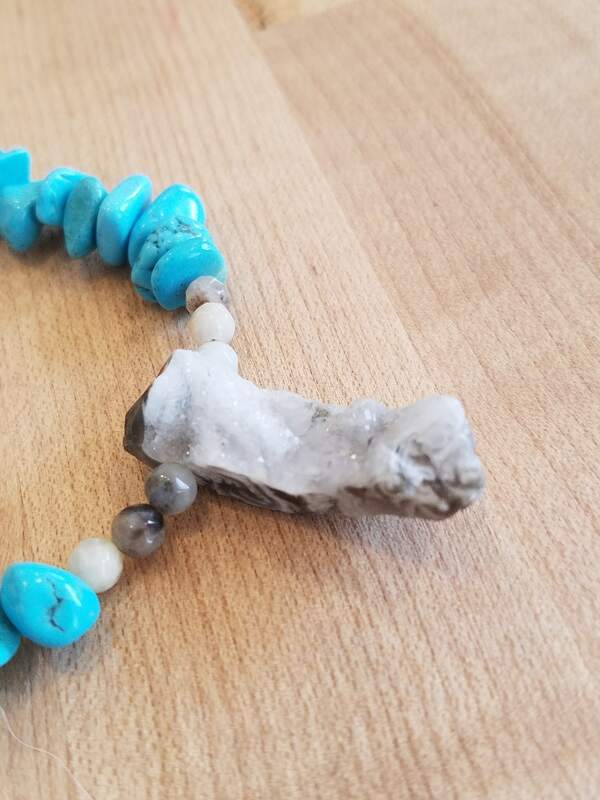 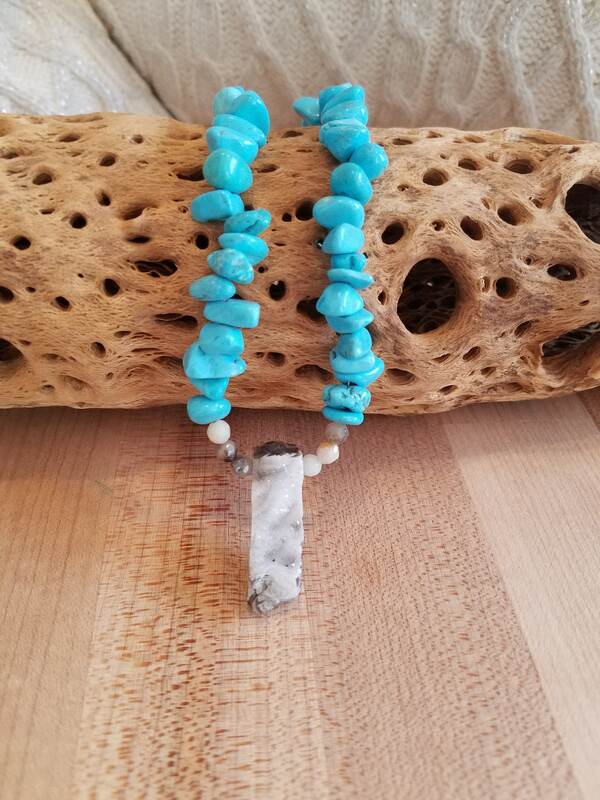 This is a beaded turquoise necklace with a geode pendant. 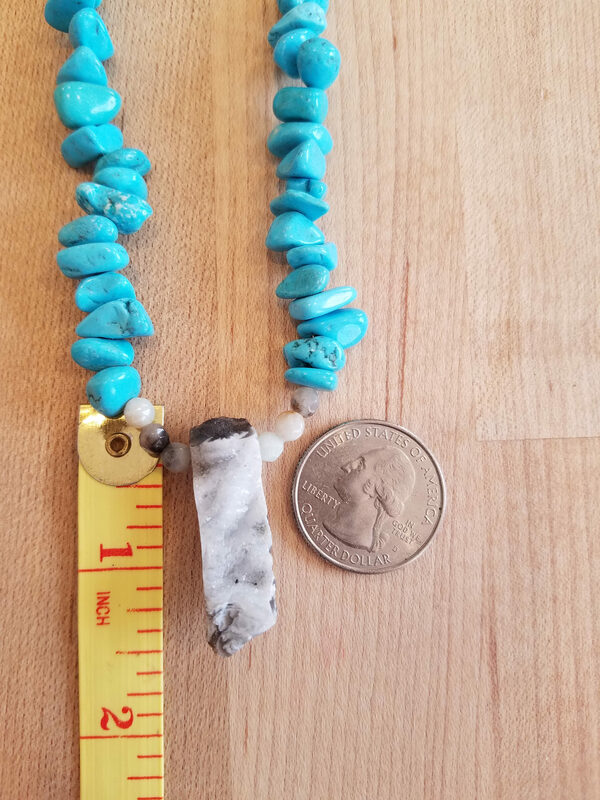 It is a shorter necklace only 15 and a half inch long almost a choker. 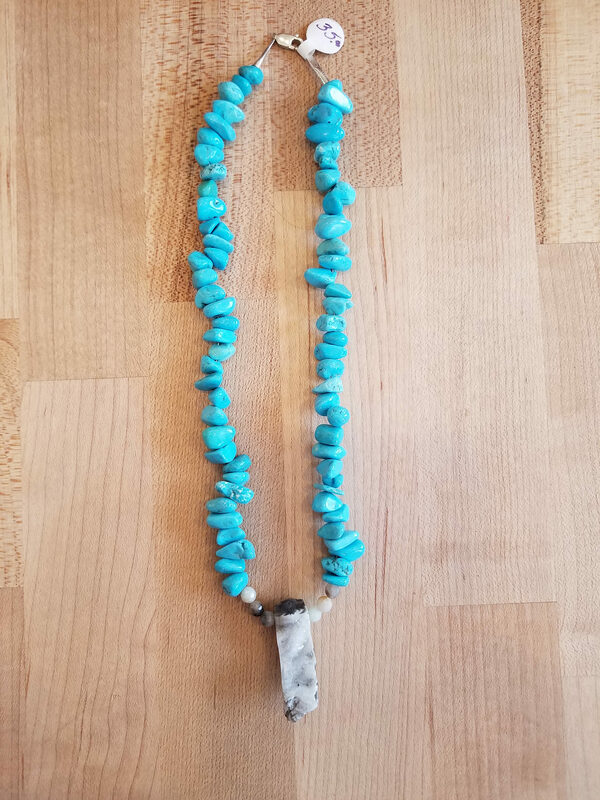 Sterling silver clasp is used.